Monte Carlo R2: When does Rafael Nadal play against Aljaz Bedene? World No. 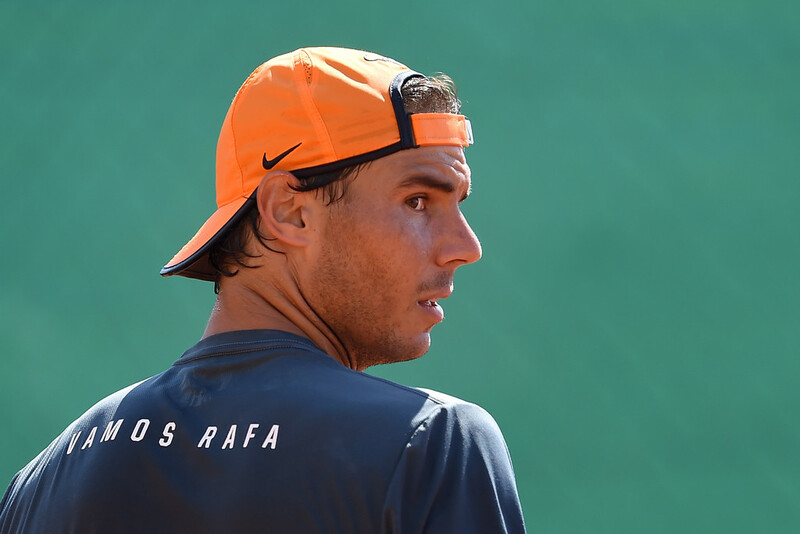 5 Rafael Nadal begins his campaign for a ninth Monte-Carlo Rolex Masters title against British No 2 Aljaz Bedene on Wednesday. The Slovenian-born world No 60 booked his spot against Rafa as he defeated Czech Lukas Rosol 6-2, 6-3 on Monday. Time: Approximately 1 PM local time / 7 AM EDT – New York, Montreal / 12 noon – United Kingdom / 1 PM CET – Spain, France, Germany, Italy / 9 PM AEDT – Melbourne. To convert to your local time, use this website. I’m playing well, at the moment I’m enjoying playing tennis. It’s going to be against Rafa, who I respect. He’s one of the best clay-courters. It’s going to be fun, definitely if I bring my best tennis. I’m not the favourite, but I stand a chance. It’s never a good time to play someone like him. But if I can pick any, this is the time. Rafa and Bedene are meeting for the first time on the ATP World Tour. Bedene is 0-6 lifetime against top-10 opponents and 1-14 in total sets. Our champ has a 53-4 tournament record in Monte-Carlo, with his last title coming in 2012 (d. Djokovic). I agree with one of the comments earlier. Am tired of Novak winning all the time as well. It seems NO one can beat him. Hoping and praying, Rafa has a great start this tournament. He needs encouragement and a few victories to get back on track. Having watched him earlier @ Indian Wells and the Miami Open he seemed more of the old Rafa of early years. I used to be able to play all day long whenI was 28-30 but its not happening now. Am 70 but still love the game. Playing @ that level is amazing the shape your body goes through. Rafa, we all have faith in you. Go out there and do your BEST!!!!!!!!!!!!!!!!! So fed up of everyone praising djokovic and his level to the skies. No doubt he is playing fantastic but if I watch I don’t feel thrilled or exhilarated. His level has been very high since 2011, yes, but that of most of the other top players has fallen. It’s not that djokos level is that much higher than the best or high levels of the other top players. But I guess mentally and in self belief his level is very high – and this plays a huge role. Would love to see him beaten. Sounds awful but ….. . Rafa beating him would be a bonus but … ???? Good that he got to play doubles yesterday. I saw some of the Bedene v Rosel match, Bedene deserved to win. Wishing Rafael all good wishes, Love the John Isner comment, thanks Rafa_86 for sharing. Rafael Nadal? He is the Ultimate Warrior. Good & sporting Isner to give Rafa such wonderful comment. I second that comment ! Rafa is the warrior of tennis and no other player can be down and fight that battle and come back and win a match ! I’ll always support Rafa he’s so inspiring and motivating to young and old ! Good luck Rafa !